"You're not only suffering," she says, "you're just sort of ridiculous. Discipline and dedication are my strong suits — it really bothered me that, no matter how much effort I tried to expend in trying to solve this problem, I was stuck." But things changed when Dessa turned to the frontiers of neuroscience for help. She came across a TED Talk by Helen Fisher, a biological anthropologist and visiting research associate at Rutgers University. Using a type of brain scan called functional MRI, or fMRI, Fisher had looked into the brains of love-struck people and noticed that certain parts of their brains were unusually active. "That you could objectively measure and observe 'love' — that had never occurred to me before," Dessa says. She wondered: If science could map the sources of love in her brain, could it somehow make that love go away? 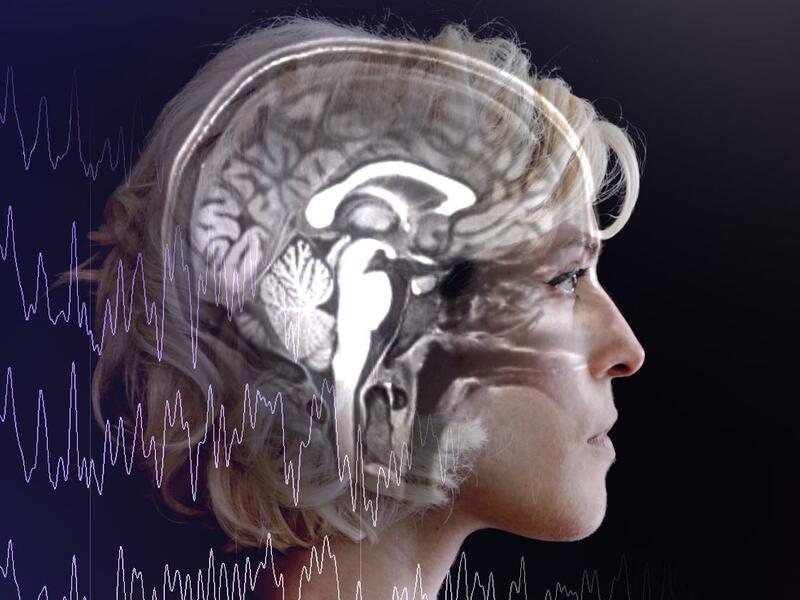 The question led her to a controversial therapy technique called neurofeedback. The idea is simple: If you want to learn to lower your heart rate, it helps to be able to hear your pulse. And if you want to change patterns of brain activity, it might be helpful to be able to see what your brain is up to. One flavor of neurofeedback therapy uses a technology called electroencephalography (EEG). A cap full of electrical leads picks up brain waves and translates them into visual or audio cues — like shifting colors on a screen or a series of dings. The idea is that people can use this feedback to retrain those brain waves, changing underlying patterns in the process — turning down unwanted brain activity or turning up regions that are too quiet. Clinicians have used neurofeedback to try and treat all kinds of mental health issues: anxiety, depression, autism, and ADHD. And they say they've seen some positive results. Patients say they feel better. But more rigorous research from the past couple of years supports the idea that, at least in some cases, neurofeedback can be used to train the brain. Most of this research uses fMRI brain scans — not EEG — to peek inside the skull. In one study, participants learned to turn up a brain region linked to motivation and focus. In another, patients with depression were able to alleviate some of their symptoms. But scientists doing this research say there's a lot of work to be done before it can be applied clinically. Could neurofeedback provide a balm for broken hearts? No research has been done in this area. But that didn't stop Dessa from trying a sort of experiment on herself: nine EEG-neurofeedback sessions aimed at helping her brain escape the rut of romantic obsession. She says she felt different when she was done. "Before, I felt that I was really under the thumb of a fixation and a compulsion," she says. "And now it feels like those feelings have been scaled down." Now, maybe the neurofeedback had worked as practitioners suggest it does. Or maybe, alternatively, Dessa got the therapy she wanted in other ways — by talking through her experiment, by writing about it, by composing songs for her new album. Or maybe, her neurofeedback sessions helped her via the placebo effect. They suggested that her emotions are grounded in a physical organ — one that she might be able to influence. Maybe simply believing that she wasn't helpless helped her change her mind and heal her heartbreak. Whatever the reason, Dessa is happy to begin to move on and to start a new chapter with her music. "I've written a bunch of sad rap bangers — I'd like to write other kinds of songs," she says.